So what’s actually wrong with you? So. 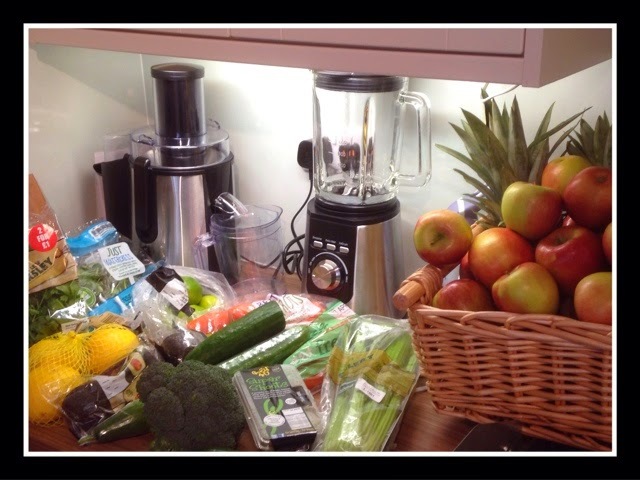 The juice ‘diet’ phase is over but juicing is definitely not. I love it, I know that if I continue with it, I will start to feel better and I will get my life back. How can I not when I’m consuming at least 10. Day (fruits and Veg) and am continuing the supplement for proteins, energy and health. One thing I will say is that my appetite for food has definitely become smaller. I have eaten 2 meals but both were small and largely plant based. Anyway- see? I also get lost on another train of thought! Help!!! It drives me mad. Then I forget what I’ve digressed from, can’t remember the last conversation and so stand there like an idiot saying ‘sorry, what were we talking about’ oh I love fibro fog!! There I go again. Fibro fog. If you haven’t already guessed, I have fibromyalgia and also degenerative disc disease and one or two synovial cysts in my spine. My worst areas for pain are my lower to mid back, pelvis, hips, groin (due to pelvis) shooting pains down my left leg to my knee (sciatica from back) knees and ankles after resting them- the pain to get going or to kneel is excruciating. My sternum and clavicle like to play up aalso. Finally my neck and hands. Oh and my head. 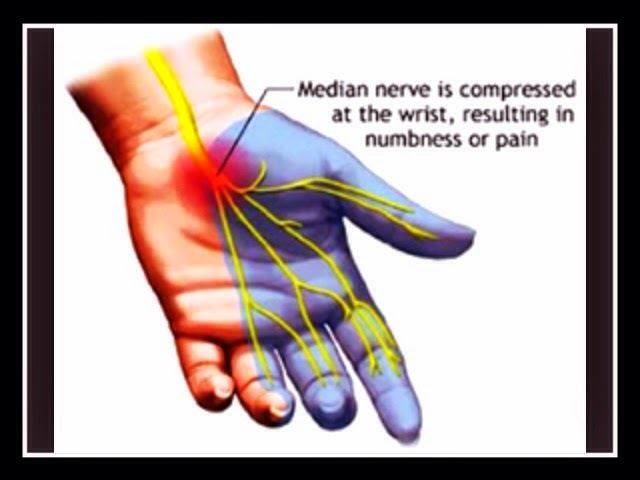 I also might have carpal tunnel in my right hand/wrist (ultrasound in two days to confirm or deny) and suffer frequently from very bad episodes of vertigo. Hmmn. I think that’s it!! Apart from a dodgy tummy. Apparently, IBS symptoms if not IBS itself can be associated with fibromyalgia. I have no idea whether I suffer or not but the meds alone are enough to make you feel this way and then the ones you have to take to counteract the effects of the pain meds. On and on and on! 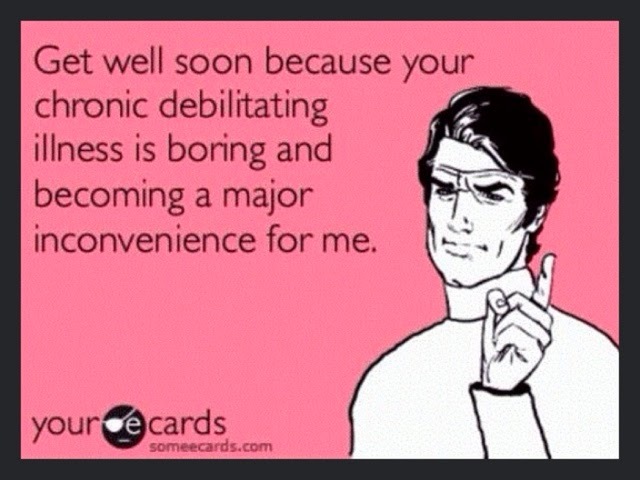 Well hello Fibromyalgia. Nice of you to drop by. If you’re reading this blog and you don’t suffer or even if you do, I’ll describe Fibromyalgia, what my Fibromyalgia feels like, in my next post. That’s the problem. 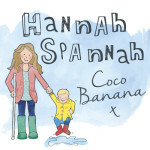 There are many pains and symptoms that all sufferers will have in common, but it can be different to each sufferer. 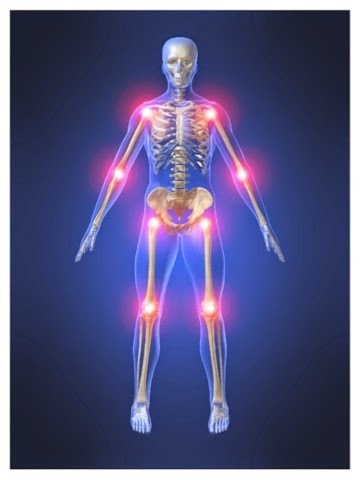 First though, What causes Fibromyalgia? Who knows! Guess. You might be right. The theories are that people with Fibromyalgia have somehow developed changes in the way the central nervous system processes pain messages. It has been shown through research that some people who have fibromyalgia have abnormally low levels of 3 hormones- seratonin, dopamine and noradrenaline. These hormones are important in regulating behaviour, sleep, mood and appetite. It has been suggested that Genetics may play a role in the likelihood of you developing Fibromylagia or not. Another thought is that disturbed sleep patterns can be a cause if Fibromyalgia and not just a very common symptom of the condition. Environmental factors are also cited as a possible cause…. However, right now, we don’t know why. There’s no test. They can’t do a blood test and say ‘blah blah is low, that’s why you have fibromyalgia’ they can’t even give you a test to say ‘yes you do or no you don’t have fibromyalgia’. Being diagnosed with the condition can be a very long and distressing procedure, taking months if not years in some cases. It’s often a case of ‘well, we’ve tested for everything else (which you’ve not got) and so you have Fibromyalgia. 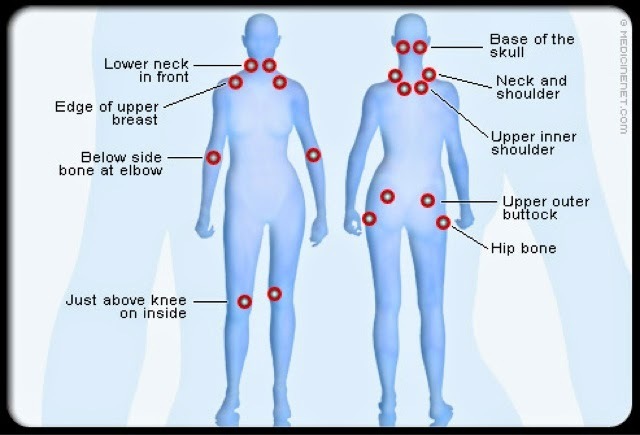 Currently, Fibromyalgia is diagnosed by a process of elimination and by checking for up to 18 pressure points, 9 bilateral. Some are shown on the skeleton above although it is missing some crucial ones. A person without Fibro (a well used abbreviation) will only feel pressure whereas a person with Fibro may find the same touch excruciating. Pain is not limited to these areas though. You also must have a history of the widespread pain for more than 3 months. The diagnosis itself can be very very upsetting. We’ve tried to find a cause but that’s not enough. We may find out that such and such is a cause but quite often there is then a trigger. It almost suggests that the possibility of developing this condition sort of lies dormant and then something triggers it. Almost like a Russian roulette. You might have the contributing factors but could get away without developing it. It is suggested that Fibromyalgia is triggered by a stressful or traumatic event, be it physical or emotional. One thing is for sure is that stress can affect symptoms and cause the pain felt to increase and so it’s also thought that prolonged stress can lead to the condition. However, you don’t always need a trigger in order to develop fibromyalgia. 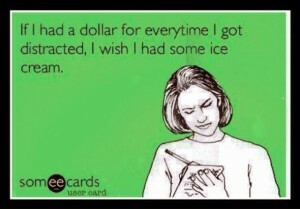 That’s what is so frustrating. Sometimes you can’t understand why you have developed this horrible condition. For me, I’m sure that my Fibromyalgia was triggered but a multitude of triggers. 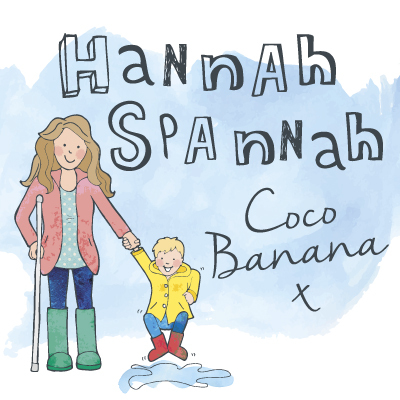 During my pregnancy I was in agony from Symphusis Pubis Disorder and it’s been suggested by a physiotherapist that I had a slipped disc at the same time, that somehow righted itself (let’s call that an injury). My relationship with my husband was breaking down due to the added pressure magnifying problems, I had a Caesarian birth due to the SPD (Having an operation) and about 4 hrs later I lost approx 4litres of blood in a massive postpartum haemorrhage that required me to be transfused. 4 months later, my exhusband and I took my little boy on holiday to Lanzarote. It was on this break that my health began to deteriorate. We would take a walk- slowly and gently and not unreasonably far but by the time we returned to the hotel, my temperature would rise and I’d be desperate to jump into a cold shower. I’d then, for want of a better word, pass out and sleep for 4 or 5 hrs with my husband only waking me so that I could feed my son. This happened 3 times on the holiday until we gave up on going for a walk. We got home and things just continued to develop. I was weaker, more tired, struggling with my muscle tiredness and being at home alone with my baby was almost too much. I went back to the drs and was tested for iron. Yes, it was still low but I was still taking my supplements and it was all to be expected. Other than that, I was showing some increased inflammation in my blood but not a crazy ‘arthritis’ amount. On and on, back and forth. The next diagnosis was Post natal depression (again, almost to be expected after what is been through) and so anti depressants were tried. I struggled to cope more, despite more help from my family and my now ex husband, threw himself into his business and worked every hour possible. Low and behold, our relationship buckled under the stress of the previous 18 months and our marriage ended when my poor baby boy was just 7 months old. So that was the beginning of my life with fibromyalgia. In my next post I’ll explain how fibromyalgia feels to me and also the medical intervention I have gone through. I’d really be interested to hear your experiences too. ← Juicing day 7. The stats are in…! Ah, so sorry about your ex. Fibromyalgia is brutal on relationships.